High triglycerides levels lead to heart disease. 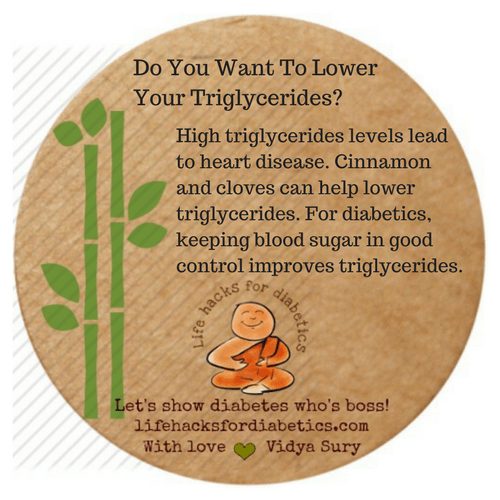 Cinnamon and cloves can help lower triglycerides. For diabetics, keeping blood sugar in good control improves triglycerides. Wow! I love cinnamon and cloves. I use it for preparing my Chai regularly. Lovely! Cinnamon and cloves…I love the fragrance! My husband has high triglycerides – I will have to pass this on time. Thanks for the info!